Explore, relax and take a well-deserved break at Deep Breath! 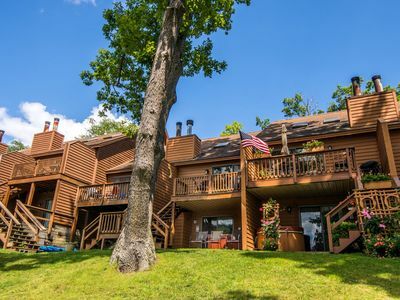 Convenient to area activities and attractions, it is the perfect home base for your Deep Creek Lake vacation. 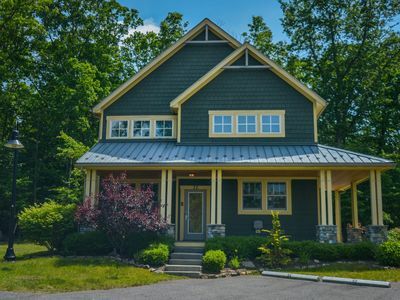 The spacious interior of this Craftsman-style home is brimming with attention to detail. Upon entering, a dual sided gas fireplace will immediately catch your eye. It is easy to imagine fireside dinners at the dining table that comfortably seats eight. 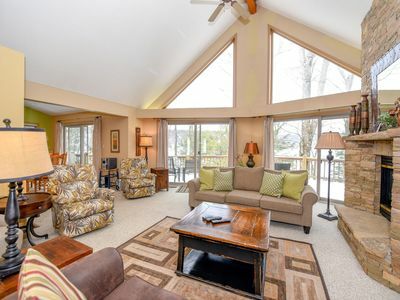 Bring a good book and enjoy the firelight from the cozy window seat while others are out skiing or snowboarding. When the weather is warm, central AC will keep you cool. The kitchen has a breakfast bar that accommodates four and is outfitted with everything you need to prepare your family's favorite dishes. 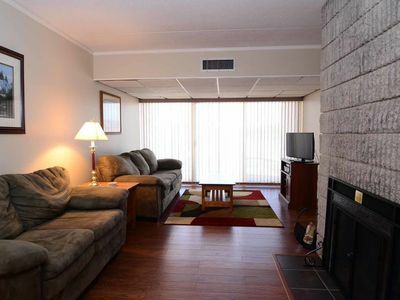 Hardwood floors and tasteful furnishings make the great room an inviting spot to kick-back and watch TV. Lots of windows let in natural light giving this space an airy feel. This will be a spot where you gather to plan hiking trips at nearby state parks or to decide where to go for dinner. 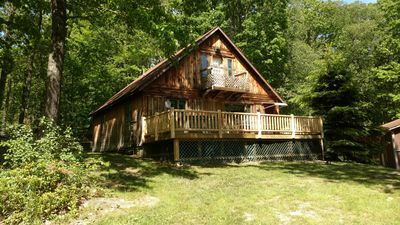 Offering a private haven, the main level master suite has a king bed, private bath, TV and DVD player. A gas fireplace is a bonus that makes this room completely cozy and romantic. 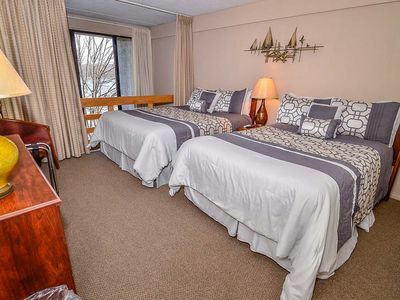 When it is time to retire after a day of swimming or biking, he main level bedroom has a king bed, TV, and DVD player to keep you comfortable. 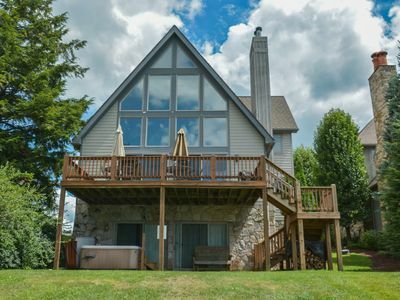 Head to the upper level to find the loft that expands your living space. A large sectional sofa has plenty of space for everyone when it is time to watch the big game or a classic movie. A table with seating for four lends itself to board games or cards and there is a foosball table for added entertainment. A bedroom with a queen and a TV is located on this level along with another that has a duobunk and a twin. 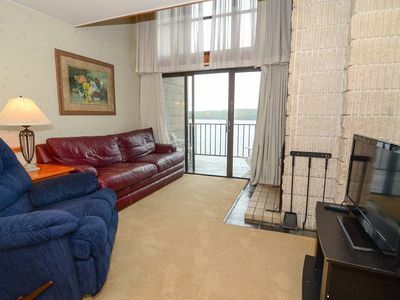 You will appreciate having sleeping quarters on each level so that everyone has some privacy. Outside, the covered porch wraps around the house giving you outdoor space that can be enjoyed no matter what the weather. 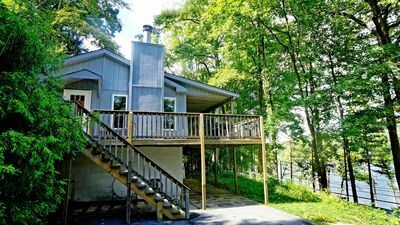 Spend afternoons grilling and chilling or evenings soaking in the hot tub while you gaze at the stars. Within less than one mile you will find several popular restaurants, a market, nightlife and Garrett 8 Cinemas. 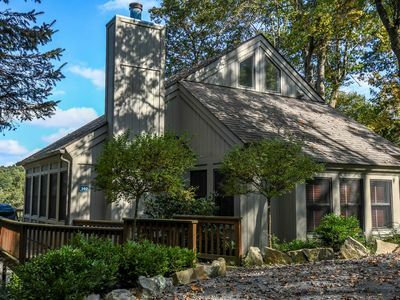 A five-minute drive leads you to Deep Creek Lake State Park where the options for fun are endless. Swim at the sandy beach, take a guided hike, tour the Discover Center with the kids, or rent a kayak to explore a quiet cove. Local marinas, whitewater rafting, and other state parks are also close-by. 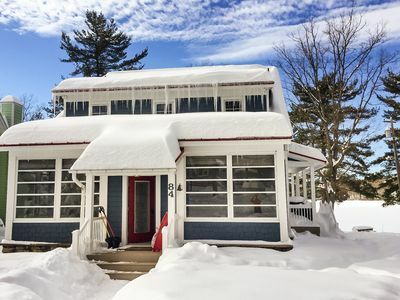 Skiing, snow tubing, ice skating and mountain coaster rides and just a few of the adventures you can experience at Wisp Resort. 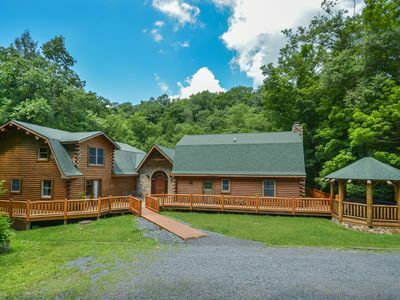 It's a quick ten-minute drive and has options for all ages and interests. 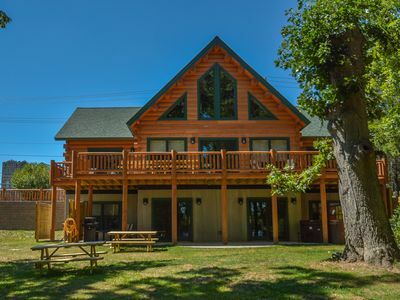 When the snow melts, they offer zip-line rides, Segway tours, a disc golf course, mountain bike trails, scenic chairlift rides, archery and much more! 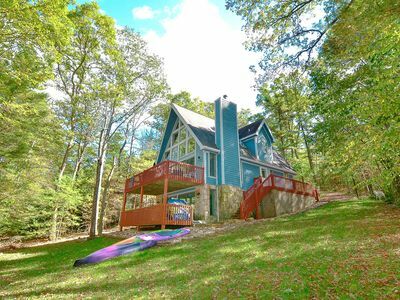 When you are ready to discover the best of the Deep Creek Lake area, make Deep Breath your vacation destination! 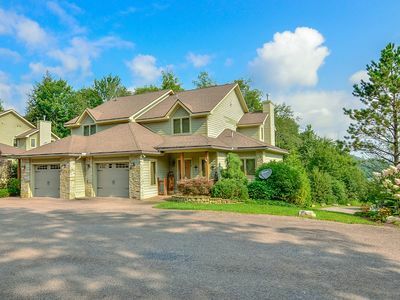 Extraordinary & Luxurious 4 Bedroom lakefront home features luxurious decor! 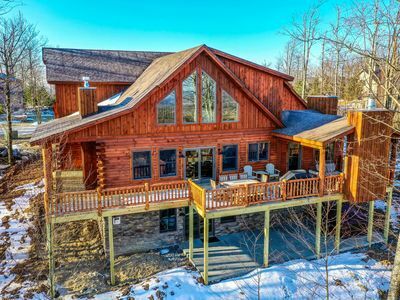 Luxury log home in a central location! 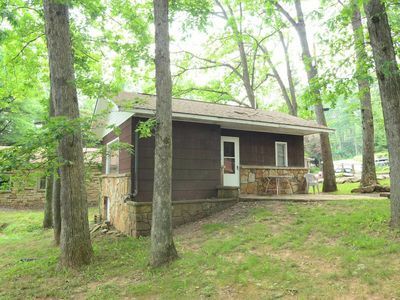 Lake & slope views within minutes from area activities! 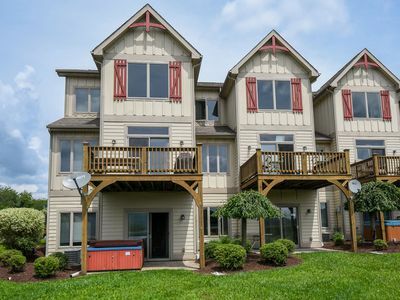 Beautiful Views from this Conveniently Located Townhome w/ Easy Dock Access! 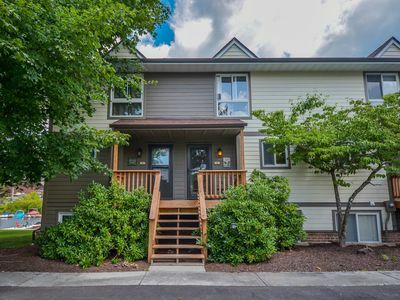 Stylish & Appealing 4 Bedroom townhome with lake & ski slope views! 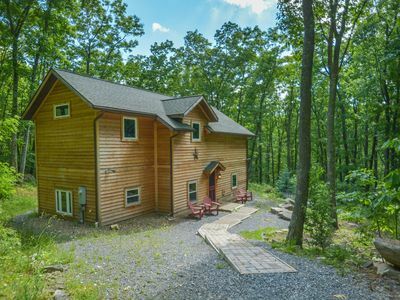 Brand New, Mountaintop Home Close to DCL Activities! 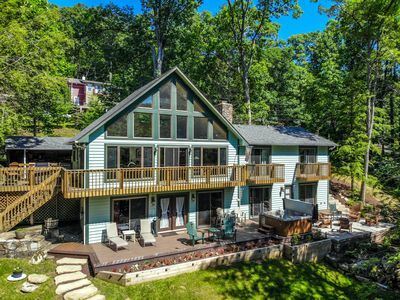 Lakefront home w/ firepit, dock & wrap-around porch - close to lake activities!